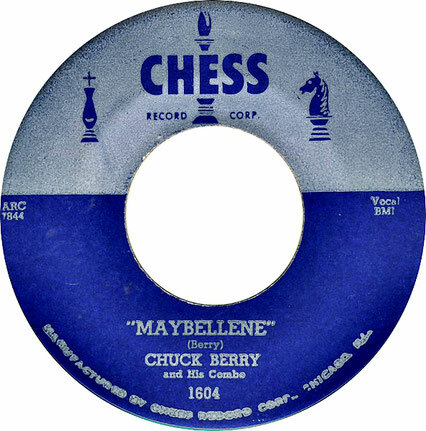 "Maybellene" is one of the first rock and roll songs. 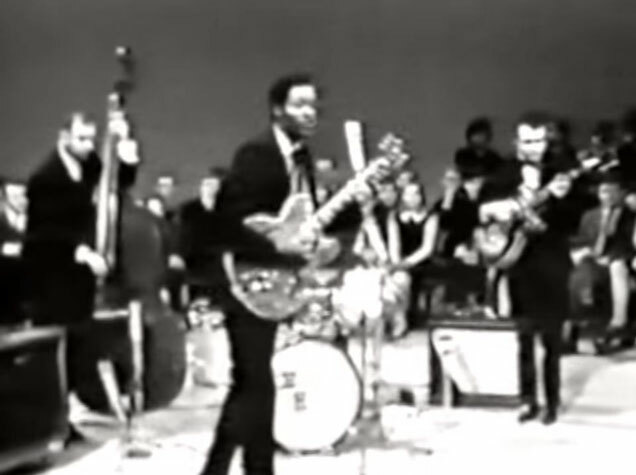 It was written and recorded in 1955 by Chuck Berry, and inspired/adapted from the Western Swing fiddle tune "Ida Red", which was recorded in 1938 by Bob Wills and his Texas Playboys. Berry's song tells the story of a hot rod race and a broken romance. It was released in July 1955 as a single by Chess Records, of Chicago, Illinois.It was Berry's first single and his first hit. "Maybellene" is considered one of the pioneering rock songs: Rolling Stone magazine wrote, "Rock & roll guitar starts here." The record is an early instance of the complete rock-and-roll package: youthful subject matter; a small, guitar-driven combo; clear diction; and an atmosphere of unrelenting excitement. The lyrics describe a man driving a V8 Ford chasing his unfaithful girlfriend in her Cadillac Coupe DeVille. Maybellene, why can't you be true? Oh Maybellene, why can't you be true? You've started back doing the things you used to do. I saw Maybellene in a coup de ville. Nothin' will outrun my V8 Ford. She's bumper to bumper rollin' side by side. It's just like swallowin' up a medicine pill. Doin' a hundred and ten gallopin' over that hill. Me and that Cadillac neck by neck. The Ford got hot and wouldn't do no more. I knew that was doin' my motor good. And that's when I heard that highway sound. A hundred and ten a half a mile ahead. And I caught Maybellene at the top of the hill.